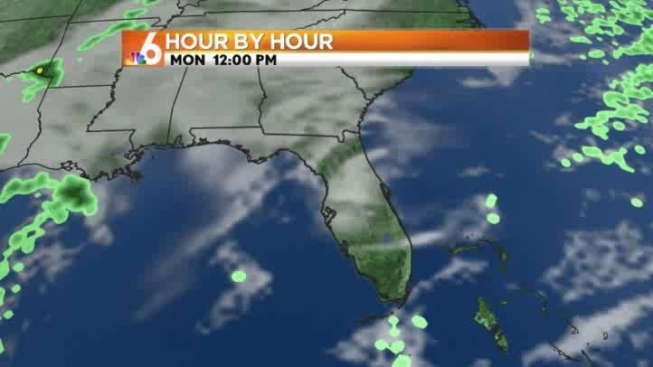 A weak front breezed through South Florida overnight leaving temperatures in the 50s to start Monday morning. With sunny skies overhead, highs will climb into the mid-70s this afternoon. Winds remain light out of the north, feeding in the dry, comfortable air. While still on the cool side tonight, lows won’t be quite as chilly as readings drop to the upper 50s inland to the lower 60s on the coast. A warming trend will kick in after Monday with highs reaching back into the upper 70s and lower 80s for the rest of the work week. Dry weather continues until further notice as we dig into the South Florida dry season.